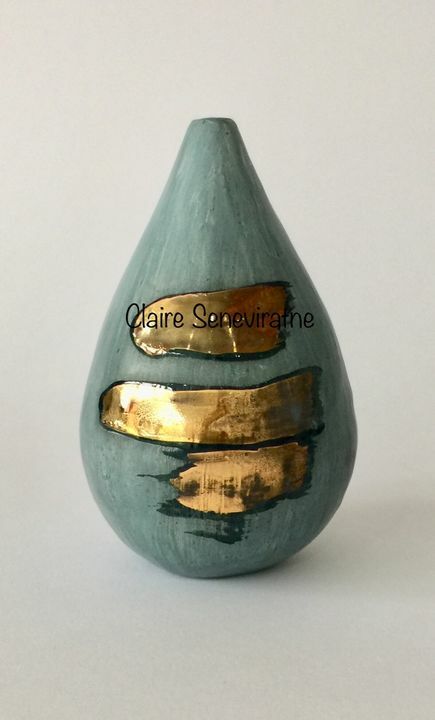 Claire Seneviratne - Ceramic Artist: Blue porcelain pot with gold lustre. Blue porcelain pot with gold lustre. This small blue porcelain pot has been burnished and fired in my electric kiln twice. It is a pinch pot and two half's have been fused together.